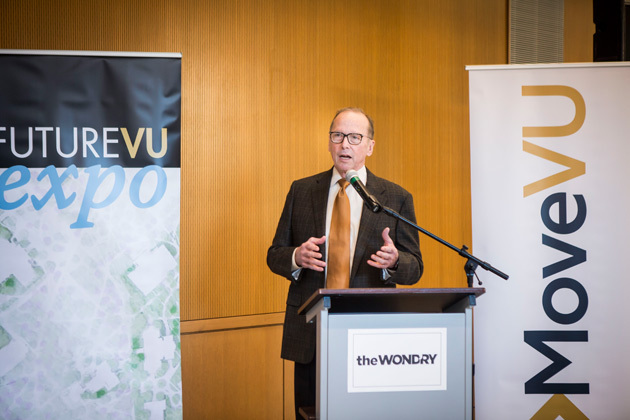 MoveVU, Vanderbilt University’s developing mobility strategy for faculty, staff and students, has received a major boost from a $4.5 million, three-year federal grant, which the university will match. The $9 million total will fund shuttle operations, shuttle shelters, bike share shelters and other efforts to encourage greater use of sustainable travel options. 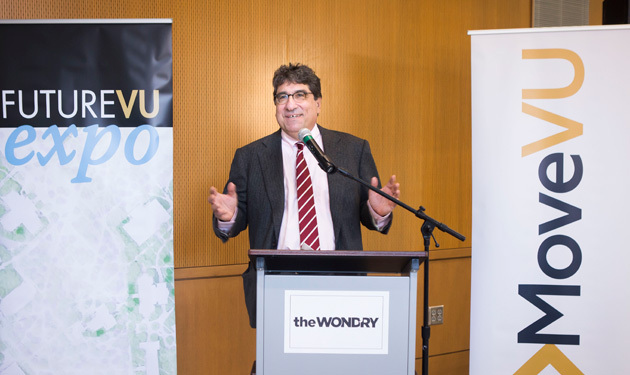 Chancellor Nicholas S. Zeppos, Tennessee Department of Transportation Commissioner John Schroer and other state and university leaders made a formal announcement about both MoveVU and the Congestion Mitigation and Air Quality Improvement Program grant Tuesday at the Wond’ry as part of Vanderbilt’s FutureVU Mobility Expo. Vanderbilt also collaborated with state transportation officials to begin developing its MoveVU strategy, which will lead to a comprehensive path forward for mobility on and around campus. The faculty’s transportation expertise was integral to a successful grant application. 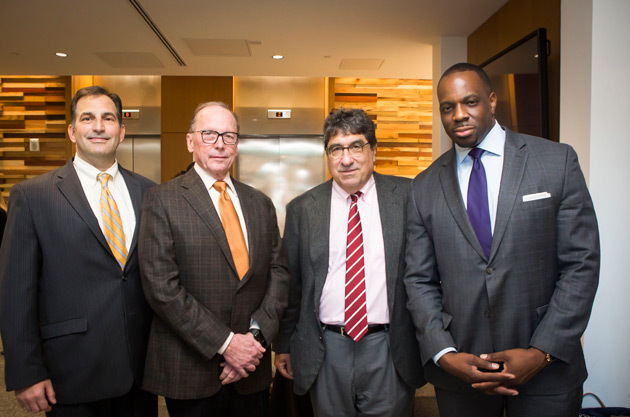 The team was led by Mark Abkowitz, professor of civil and environmental engineering, and Craig Philip, director of the Vanderbilt Center for Transportation and Operational Resiliency. 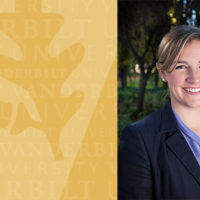 They said Vanderbilt University and Vanderbilt University Medical Center’s joint status as Middle Tennessee’s largest employer, with thousands of employees traveling from across the region to the Nashville campuses daily, presented a significant opportunity to expand the university’s leadership role in addressing congestion and air quality. Abkowitz said one of the grant’s major areas is transportation demand management, which means providing motivation for travelers to change their behavior. In advance of the grant, Vanderbilt is installing motion and air-quality sensors across the campus and its periphery to understand how people navigate it and any air quality issues present. Over the next three to five years, the MoveVU program, with funding support from the CMAQ program, will launch a variety of new initiatives, including expanding shuttle operations using vehicles that rely on alternative fuels (either electricity or biofuels), instructing new shelter stops, and establishing bike and scooter share stations, shelters and repair sheds. Erin Hafkenschiel, recently appointed executive director of mobility in the Division of Administration, will lead MoveVU planning. Hafkenschiel most recently served as director of transportation and sustainability in the Nashville mayor’s office. It’s important that the entire campus be involved in developing the plan and also understands transportation options already available, said Eric Kopstain, vice chancellor of administration. FutureVU, the overarching, comprehensive land-use plan for Vanderbilt’s 333-acre campus, ensures the university can follow its academic mission while accommodating Nashville’s fast-paced growth and remaining a good neighbor. 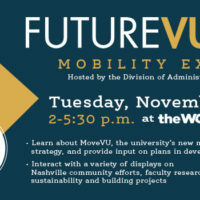 The FutureVU Mobility Expo provided students, faculty and staff an opportunity to explore Vanderbilt’s mobility and transportation progress and learn more about MoveVU, plus enjoy demonstrations, free food and prizes. The federal Congestion Mitigation and Air Quality Improvement program provides dedicated federal funding to state departments of transportation for projects that improve air quality and reduce congestion. The CMAQ program improves air quality by funding transportation projects and programs that reduce air emissions from cars, trucks and buses in air quality non-attainment and maintenance areas, which are the only areas eligible for CMAQ funding.